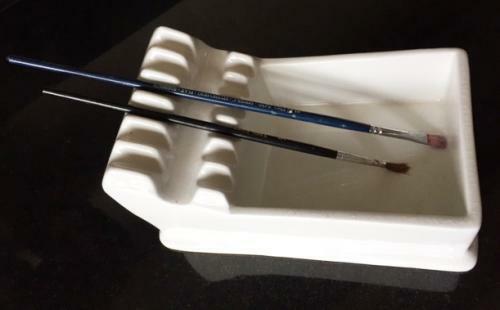 White ceramic artist's brush holder allowing the ends to stay wet and not dry out. Good condition. Made by C. J. P. & Co Ltd 38 Poland Street London W1. Probably circa 1920.